Notes: Also houses the City Hall, Is listed as a Historical Site. 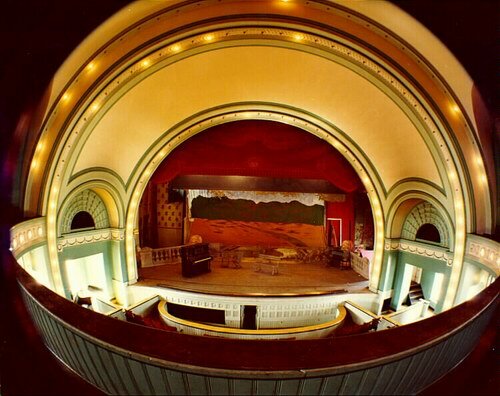 In one form or another, the Cheboygan Opera House has been a source of arts education and entertainment here over the last 125 years. Now, officials are working to recognize the historical significance of the facility. 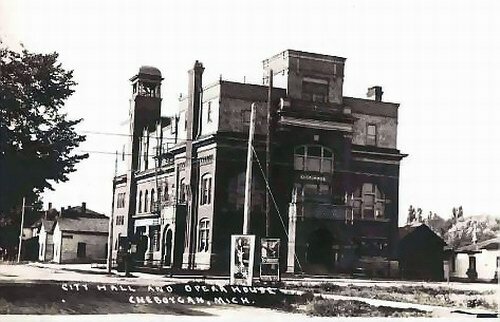 The Cheboygan City Council has given its historical resources commission its blessing to add the Cheboygan Opera House as a historical building under the citys new historical resources ordinance. 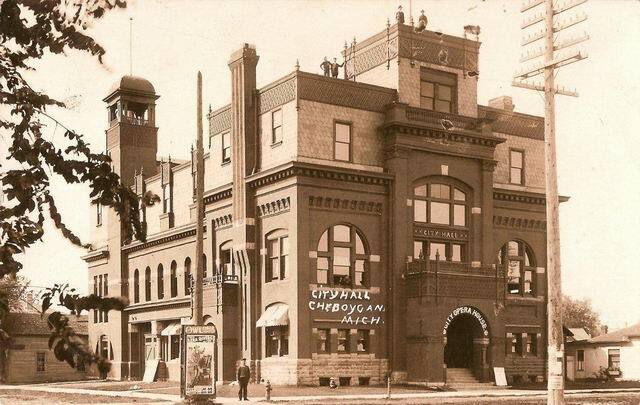 Cheboygans first City Hall and Opera House was built in 1877 and played an important role in the northern Michigan lumbering era, a local historian says. 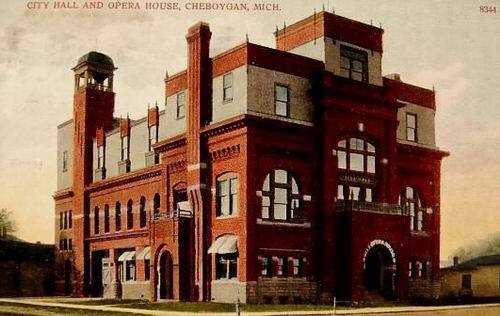 The Opera House itself was really a focal point from for the arts and the community from that day forward, said James Conboy, chairman of the Cheboygan Historical Resources Commission. The original two-story wooden opera house was razed by a fire on Dec. 22, 1886, but officials made immediate plans to rebuild due to its popularity. A new three-story brick and sandstone building was built at a cost of $35,000. It opened on July 30, 1888. Along with the Opera House, the building also housed municipal offices, a police department, jail and a fire department. Fire struck again on Oct. 19, 1903 on the upper level of the city hall, leaving the Opera House in shambles. The original plans for reconstructing the Opera House were followed during rebuilding in order to preserve the acoustics in the theater. The Opera House reopened for a third time on Dec. 19, 1904. Over the years, the Opera House flourished, drawing several nationally known acts. But when movies became the most popular form of entertainment in the 1960s, the frequency and quality of performances declined. The Opera House portion of City Hall was condemned in the 1960s. A lot of opera houses were actually turned into movie theaters, said Joann Leal, executive director of the Cheboygan Area Arts Council. 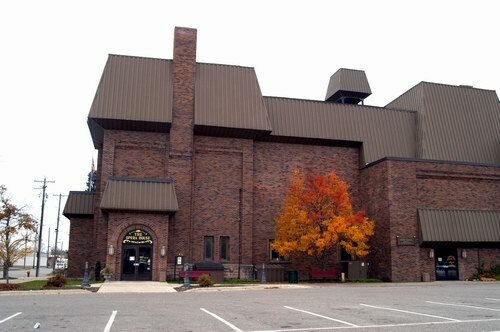 In the early 1970s, the Cheboygan Area Arts Council and Northland Players, which raised $1,000 for an engineering feasibility study, started a push to restore the City Hall Building and save the Opera House. City voters in November 1974 passed a 15-year millage to help restore the Opera House. In August 1977, the city also obtained a federal $1. 7 million Economic Development Administration grant for restorations. A total of $650,000 was raised through donations to cover a third phase of the restoration project due to unforeseen structural problems. The Opera House reopened on April 4, 1984 and has flourished ever since. Acts that have graced the stage over the years include Annie Oakely, Buster Keaton, The Kingston Trio, Donny and Marie Osmund, Roy Clark and Florence Henderson.